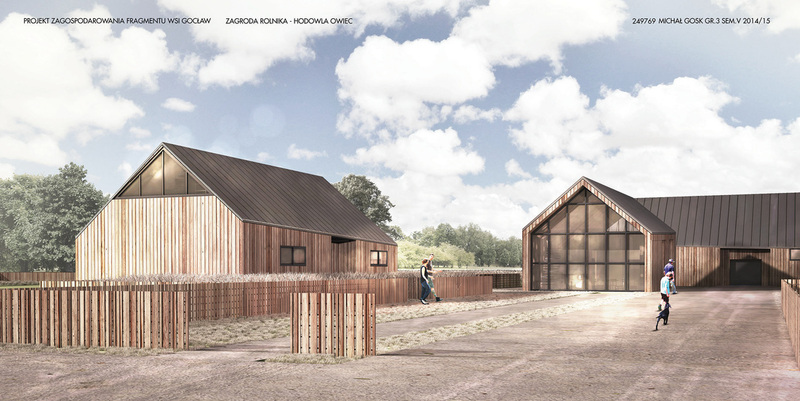 V Semester Assignment covering design of a farm (rural homestead) in Gocław - village located 40km from Warsaw, PL. 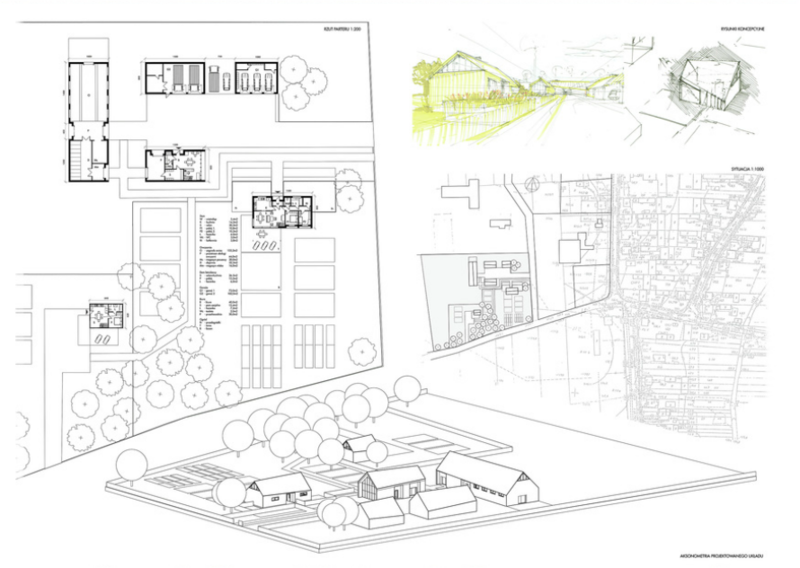 Chosen profile: Sheep Farm containing rural house, small leisure house, sheep building, office and additional outbuildings. All rights reserved, Michał Gosk 2015.